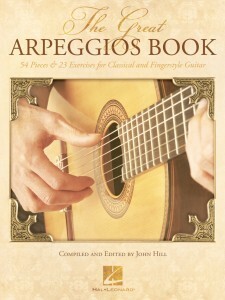 Right hand arpeggios are essential cornerstones for the development of classical and fingerstyle guitar technique. 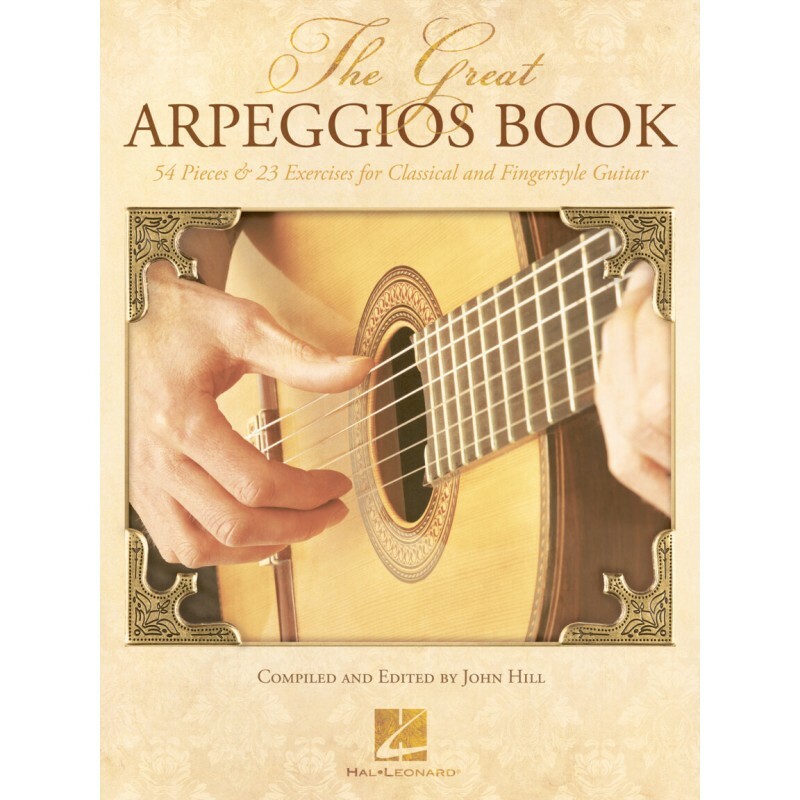 The study of arpeggios will enable the student of the guitar the opportunity to observe and refine technique and musicianship while playing beautiful music. 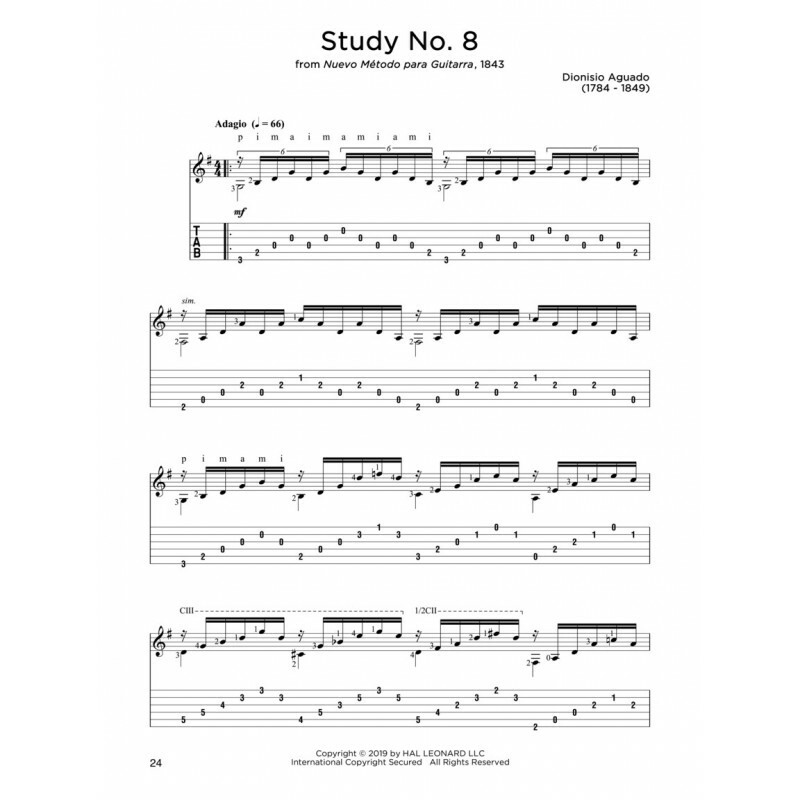 Includes: 23 Arpeggio Exercises (from Complete Method for Guitar by Carcassi) • Grazioso (Guiliani) • Ländler Op. 9, No. 4 (Mertz) • O Mio Babbino Caro (Puccini) • Prelude (J.S. 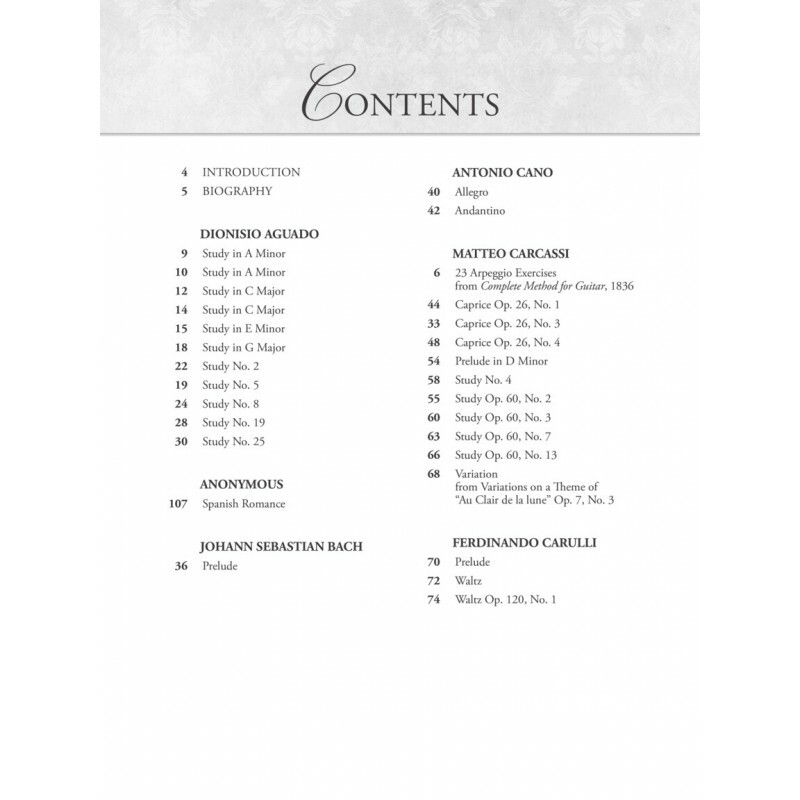 Bach) • Recuerdos de la Alhambra (Tárrega) • Spanish Romance (Anonymous) • Study Op. 35, Nos. 9, 13 & 22 (Sor) • and much more.